Megan Mayhew Bergman, Director of the Bread Loaf Environmental Writers' Conference, is currently the Director of the Robert Frost Stone House Museum at Bennington College, where she also teaches undergraduate and graduate students. Previously, she served as the Associate Director of Bennington's MFA Program. She recently completed a fellowship at the American Library in Paris and wrote an environmental column for the Paris Review. She is the author of Birds of a Lesser Paradise, Almost Famous Women, as well as a forthcoming novel. Her work has been featured in the New Yorker's Page Turner, The New York Times, NPR's Selected Shorts, McSweeney's, Ploughshares, Oxford American, and Best American Short Stories 2011 and 2015. Dan Brayton, Bread Loaf Environmental Writers' Conference Faculty Liaison, is Associate Professor of English and American Literatures at Middlebury College and a member of the Middlebury College Environmental Studies Program. He earned his doctorate at Cornell in 2001 and has published in Publications of the Modern Language Association, English Literary History, Forum for Modern Language Studies, Shakespeare Quarterly, Scribners’ British Writers series, and WoodenBoat. He has also had visiting appointments at Sea Education Association and the Williams-Mystic Program in Maritime Studies and has taught courses on tall ships in the Atlantic, Pacific, and the Caribbean. He has served as the Literature, Art, and Music section editor of the journal, Coriolis: the Interdisciplinary Journal of Maritime Studies. His monograph, Shakespeare's Ocean: An Ecocritical Exploration (2012) won the Northeast Modern Language Association Book Award, and his co-edited volume Ecocritical Shakespeare (with Lynne Dickson Bruckner) was published in 2011. 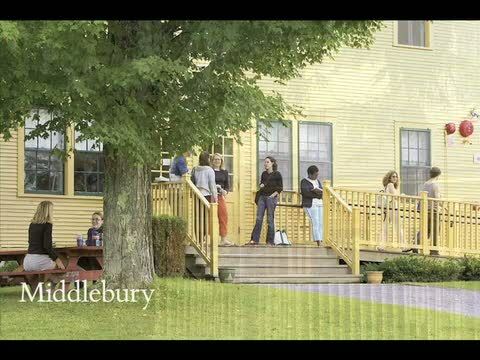 Noreen Cargill, Administrative Director of the Bread Loaf Writers' Conferences, has worked for Middlebury College since 2000. Before joining the Conference, she worked in a library, a bookstore, and a small publishing house. She enjoys freelance writing and has published in Better Homes and Gardens, the Boston Globe, Vermont Life, and Vermont Magazine. Jason Lamb, Coordinator of the Bread Loaf Writers’ Conferences, taught middle school English for several years, before recruiting emerging and established writers for the MFA in Writing program at Vermont College of Fine Arts. He writes short fiction, and spends any free time he has hiking in the mountains. Jason recently summited all forty-eight mountains over four thousand feet in New Hampshire and is currently working on finishing the remaining New England mountains, with occasional trips to the Cascade Range in Washington state.